If you are an iPhone user and expect to remain one for a while, you should look at getting your car hooked up with an Apple CarPlay-capable aftermarket head unit. 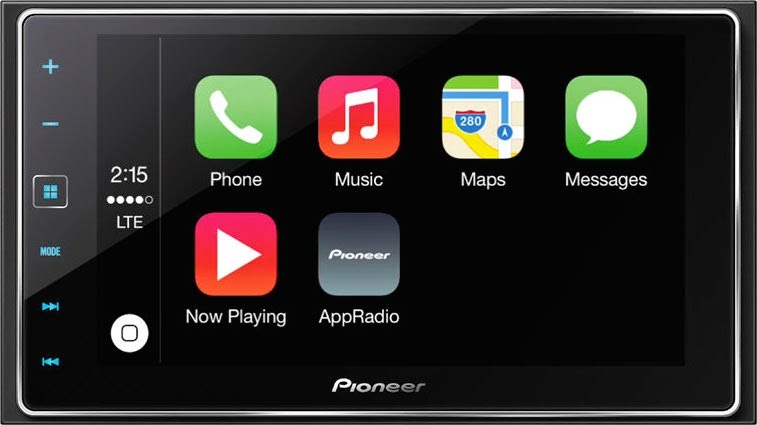 There are quite a few options for a good system but none better than Pioneer's AppRadio 4 (SPH-DA120), in my opinion. Currently, the lowest prices can be found on Amazon where the latest AppRadio 4 sells for under $450. At that price, it is easily the cheapest CarPlay option. But the AppRadio 4 offers much more than just CarPlay. Read our full review by clicking this link. To check out the latest prices from Amazon, click here. Will this unit (Da-120) be compatible with appradio One? And with Apple's wireless carplay?